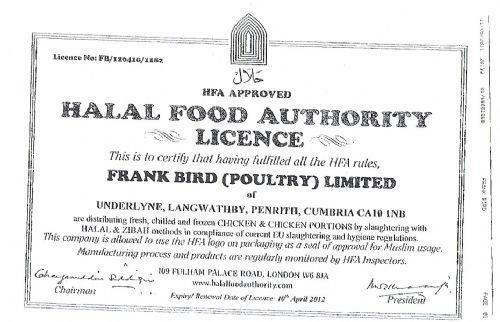 This is a copy of the Halal Food Authority Licence from Trafford Catering to show that we provide Halal Meat in line with HFA regulations. If you would like to try school meals ten speak with Mrs Yates or Mrs Sharwin at the school office. If you wish to speak with somebody in Trafford about Halal Meat please contact Christine Holden on 0161 912 1212.